The man-in-the-middle attack is a generic name for various techniques designed to gain access to traffic as an intermediary. Due to the wide variety of these techniques, it is problematic to implement a single tool for identifying these attacks, which would work for all possible situations. For example, when attacking a person in the middle on a local network, ARP spoofing is usually used. And many tools for "detecting a man-in-the-middle attack" monitor the change of pairs of Ethernet/IP addresses or report suspicious ARP activity by passive monitoring of ARP requests/responses. However, if this attack is used on a maliciously configured proxy server, VPN, or in other cases when ARP-spoofing is not used, then such tools are helpless. 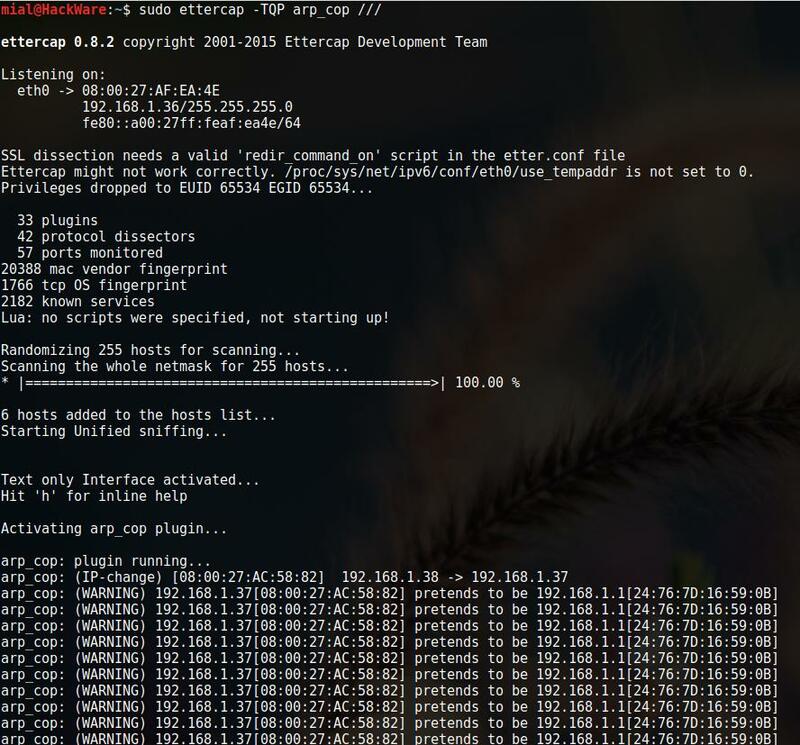 The purpose of this article is to collect some techniques for detecting man-in-the-middle attacks, as well as some tools designed to determine if a MitM attack is taking place against you. Due to the variety of methodologies and implementation scenarios, it is impossible to guarantee 100% detection. As already mentioned, in man-in-the-middle attacks, ARP spoofing is not always used. Therefore, although detecting activity at the ARP level is the most popular way to identify, a more universal way is to detect modification of traffic. The mitmcanary program can help us with this. The principle of the program is that it makes "control" requests and stores the received responses. After that, it repeats the same requests at certain intervals and compares the received responses. The program is intelligent enough and it properly processes the dynamic elements in the responses to avoid false positives reveals. As soon as the program reveals traces of the activity of tools for MitM-attacks, it reports about that. MITMf, by default, changes all HTTPS URLs in HTML code to HTTP. It is detected by comparison of HTTP content. This will take some time - wait until the end. There should be no error messages (if so, you do not have any dependencies). That is, the program once a minute makes control requests and looks for signs of a man-in-the-middle attack in them. You can wait a while; surf the Internet to make sure that the program does not make any false alerts. Let us try the classic Ettercap program. I am running a normal MitM attack with ARP spoofing. mitmcanary does not notice ARP-spoofing. mitmcanary tool itself generates traffic, that is, no user action is required. After a while, a single warning appears, which is not confirmed on subsequent close checks. But a similar warning appears in a few minutes. Without further analysis, I find it difficult to say whether this is an example of a false positive - very similar to this. It is possible that this warning is caused by a communication failure, or by the peculiarities of my poor-quality Internet connection. Since the result is not obvious (rather "no" than "yes"), then let us try the Bettercap program, which has a variety of modules. I have no doubt that when using various Ettercap plug-ins and/or additional programs to expand the functionality, we would be visible for mitmcanary. For the purity of the experiment, I restart the equipment, run mitmcanary on the target machine and Bettercap on the attacker’s machine. At the same time, it is not necessary to make control queries on the target machine - they are saved in a file inside the directory with the program. Therefore, just start the service and the graphical interface. Separate warnings appear, which are also more like false positives. edit the resources to which verification requests are made, since a professional attacker can add default resources to the exceptions, which will make it invisible for this tool. Very often, a man-in-the-middle attack on the local network starts with ARP spoofing. That is why many tools for detecting MitM attacks are based on the mechanism for monitoring the change in the ARP cache, in which the correspondences between Ethernet (MAC addresses) and IP addresses are attributed. As an example of such programs, you can recall arpwatch, arpalert and a large number of new programs. The ArpON program not only monitors the changes in the ARP cache, but also protects against its changing. As an example, run arpwatch in debug mode, without creating forks in the background and sending messages by mail. Instead, messages are sent to stderr (standard error output). The arpwatch program will help you quickly be aware of new connected devices on your local network, as well as about changes in your ARP cache. That is, to perform controlling lookups it is necessary either the ciphered channel (for example, through Tor), or to use non-standard settings (other port, TCP instead of UDP). Approximately for this purpose the sans program from XiaoxiaoPu is designed (if I understood correctly). I managed to redirect DNS requests via Tor and through non-standard settings to my DNS server with this program. But I still could not make the tool to show messages about DNS responses spoofing. And without this, the meaning of the program is lost. I could not find any more worthy alternatives. 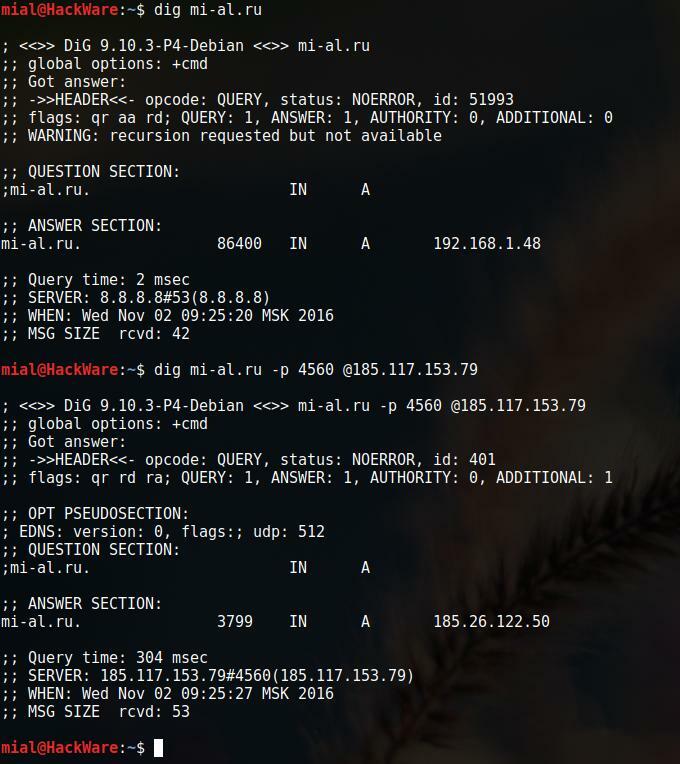 That is, when a DNS lookup is performed for the mi-al.ru site, instead of the real IP, the IP address of the attacker machine will be sent. It is seen that for a "normal" DNS lookup, a local IP 192.168.1.48 is sent, and when a DNS request is sent on an untypical port, the correct IP of the server is sent. 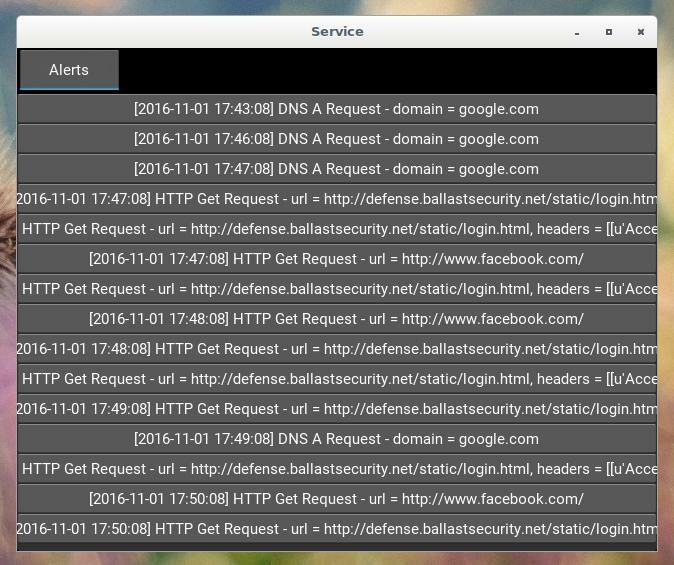 Obviously, there is not enough tools which would itself track DNS responses in traffic, double-check them on an alternative source and raise the alarm in case of spoofing. 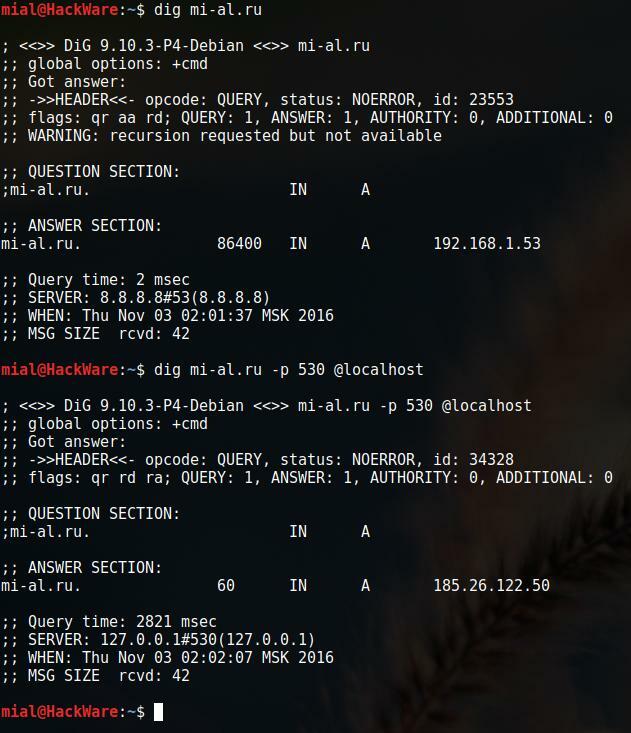 To do without configuring your own remote DNS, you can make queries to the name server via Tor. Since all the traffic of Tor is encrypted, the received DNS answers in this way are not vulnerable to the attack. If Tor is not already installed, then install it. Pay attention to 530. This is the port number, instead of 530 you can specify any other (unbound) port. Now, as the server, we specify localhost, and write the port number that was specified in the settings of /etc/tor/torrc. 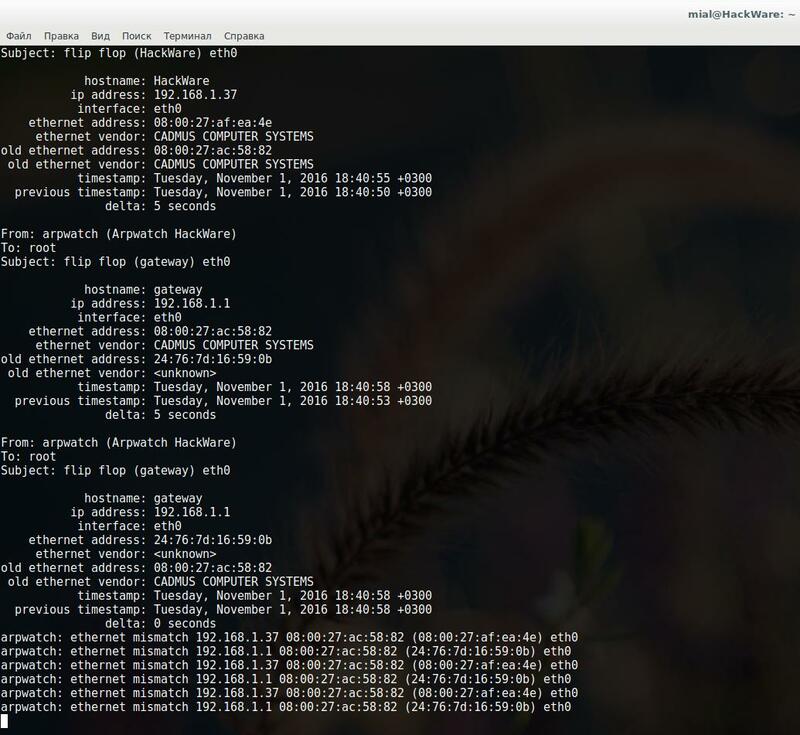 If there is (and especially if suddenly appeared) equipment in promiscuous mode inside your local network, this is very suspicious, although it does not clearly indicate a man-in-the-middle attack. In this mode, the network card allows you to receive all packets, regardless of whom they are addressed to. In the normal state, the Ethernet interface uses the filtering of the link layer packets and if the MAC address in the destination header of the received packet does not match the MAC address of the current network interface and is not broadcast, the packet is discarded. In the "promiscuous" mode, filtering on the network interface is disabled and all packages, including not assigned to the current node, are passed to the system. Most operating systems require administrator privileges to enable the "promiscuous" mode. That is, setting a network card to promiscuous mode is a conscious action that can pursue the purpose of sniffing. To search for network interfaces in promiscuous mode, there is an Ettercap plugin, called search_promisc. The work of the plugin is not completely reliable, there may be errors in determining the mode of the network interface. Some man-in-the-middle attack methods leave a lot of traces, and some (for example, passive searches for credentials on a proxy) are impossible or almost impossible to detect.